Last week, 80 new final regulations were published in the Federal Register. There were 96 new final rules the previous week. That’s the equivalent of a new regulation every 2 hours and 6 minutes — 24 hours a day, seven days a week. All in all, 1,768 final rules have been published in the Federal Register this year. If this keeps up, the total tally for 2013 will be 3,605 new final rules. Last week, 1,461 new pages were added to the 2013 Federal Register, for a total of 39,104 pages. At its current pace, the 2013 Federal Register will run 78,208 pages. Rules are called “economically significant” if they have costs of $100 million or more in a given year. One such rule was published last week, for a total of 15 so far in 2013. So far, 124 final rules that meet the broader definition of “significant” have been published in 2013. So far this year, 306 final rules affect small business; 28 of them are significant rules. This week’s economically significant rule sets national standards for school lunches and breakfasts. The rule does not include a cost estimate, claiming that “it is not possible to define a level of disease or cost reduction expected to result from implementation of the rule.” This is a basic failure of transparency. That the Food and Nutrition Service is unwilling to include cost-benefit analysis implies that even the agency believes that this rule’s effect on childhood obesity will be imperceptible. I have placed this rule’s costs at the bare minimum of $100 million needed for it to qualify for its economically significant status. 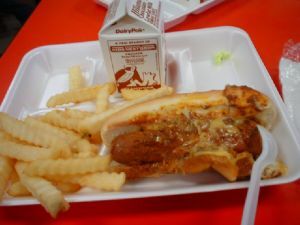 Given the multi-billion dollar costs of other federal school lunch rules, this is could be a severe underestimate. It took the Forest Service nearly two pages to define what a ski area is. The Coast Guard is establishing 23 different safety zones, security zones, and the like for fireworks shows and other summer events across the country. The Postal Service is updating its refund and exchange policies. New safety standards for infant walkers and swings. The National Park Service is changing its policies regarding protesting and pamphleteering in national parks.